Get back to nature without sacrificing comfort at Camping Park Umag. As well as mobile homes, you'll find luxury tents and bungalow tents, making this a true luxury camping site. 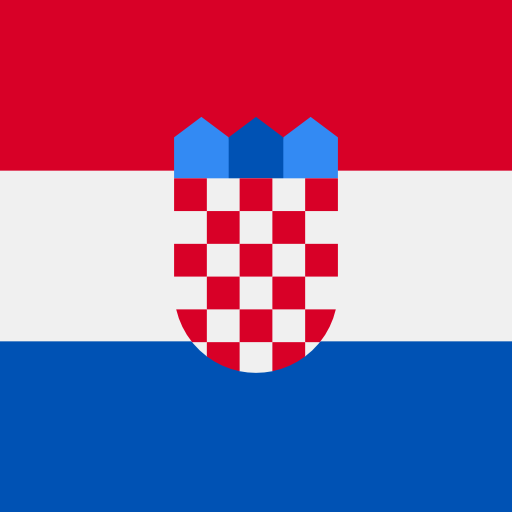 Let LUX Camp arrange your booking, and begin a Croatian adventure. Enjoy warm breezes and sea views on the lovely Istrian peninsula, with its forests and mountains. The climate is temperate at the beginning and end of the season, so you can enjoy some late or early sun on your camping holiday for less. It's a short stroll down to the beach for swimming, sunbathing, snorkelling, and sailing. The historic town of Umag, which predates the Romans, is just eight kilometres away - an easy drive, or even cycle. 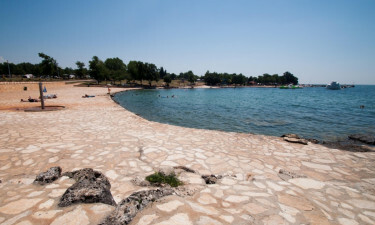 What's so special about Camping Park Umag? There's a wide choice of activities, both at the camp site and beyond, whether you're into serious sport or serious fun. 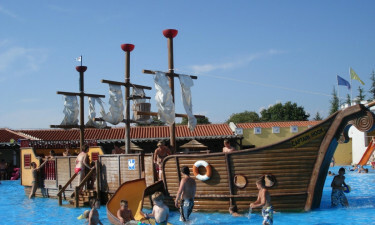 With children's play areas both inside and outdoors, and a children's pool with its own pirate ship, little ones can happily entertain themselves for hours, and there's an organised programme of entertainment for them, too. The whole family can enjoy the main pool, and some pitches share a small private pool as well. The pools are open from mid-May till mid-October. Hire a bicycle on site to explore the forests and the coastline, or try horse riding. Play minigolf, volleyball or table tennis at the site, or enjoy a round of golf nearby. If city life isn't for you, and even if it is, you can return at the end of the day to enjoy perfect peace and luxury camping back at the site. The large pitches for mobile homes and tents are arranged to ensure quiet and privacy. You don't need to go far from the beach, or the pool, to find something to eat and drink. Feast on regional specialities, such as locally caught seafood, or treat the kids to a pizza. Whether you want a quick snack, a luxury meal, or to linger over cocktails as the sun sets over the sea, you should have no trouble finding the just the right eatery. Alternatively, why not cycle into Umag, or try one of the villages along the coast? 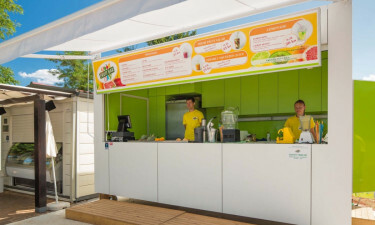 With snack stands and supermarkets on site, you can buy your daily necessities without having to carry them too far, and even send the kids out to buy fresh bread for breakfast. If you're looking for souvenirs, like locally made items and speciality foods, you can find them in Umag, or go further afield to Novigrad. Here, winding streets and little shops make hunting for just the right gift or memento an adventure.